We have been under perceived pressure to upgrade our domestic meters to the smart variety. Comment follows about the experience and the learning involved. The current social climate includes among its many concerns the change in climate and in demands for energy. At a domestic level one can only act upon the latter. Any initiative from UK.gov takes as a mantra that competition is good and so we are being encouraged to shop around for deals on things like banking (irrelevant here) and power supply. There are parallel initiatives to encourage us to improve domestic insulation and turn down our heating as gestures that are two-fold; personal gain in the sense of lower fuel bills, and national gain, in the sense that reduced demand for energy might paper over some cracks in delivery of energy resources. Against this background there is a perception that providing real-time displays raises awareness, and possibly understanding, of where one’s energy consumption is going, encouraging those small changes in each household that could so easily sum to significant reduction in demand nationally. Enter the smart meter. ‘Basic’ domestic meters accurately measure the amount of electricity and gas supplied to homes but they do not record time-of-use of energy and cannot be remotely controlled and need to be physically read to obtain metering data, making the system as a whole inefficient. Despite the fact that most modern appliances have improved energy efficiency, they also have features which can counteract efficiency savings. For instance standby modes have been linked to increased energy wastage (EST, 2006). This is the case particularly in the UK, where around 71% of consumers regularly leave appliances on standby and 63% leave lights on in unoccupied rooms (EST, 2006). While white goods are labelled according to their energy usage and almost 70% of cold appliances sold in Europe are rated at the highest level for their energy efficiency, [the] majority of consumer electronics, however, remain without energy labelling (Bertoldi, Atanasiu, 2007). Early indications from studies conducted for instance in the US and Norway on smart meter systems suggest that households who receive feedback on their energy consumption could save up to 15% of their energy consumption (Darby, 2006). That could makes the message wonderfully vague, even weak. The Energy White Paper 2007 states that “within the next 10 years, all domestic energy customers will have smart meters with visual displays of real-time information that allow communication between the meter, the energy supplier and the customer” (DTI, 2007, p. 64). So it is already clear that not all smart meters are the same and that they are ‘owned’ by the supplier of the moment, which runs counter to any incentives encouraging a customer to switch suppliers. At Q3 of 2017 , there are now over 8.61 million smart and advanced meters operating across homes and businesses in Great Britain, by both large and small energy suppliers – a twelve per cent increase from [the] previous quarter. The target is 50 million smart meters installed by 2020, which might put that statistic in context. I found a report from the Mirror  indicating that the target has been softened. 5. You will not be charged separately for a smart meter or for the In-Home Display. Under current arrangements you pay for the cost of your meter and its maintenance through your energy bills, and this will be the same for smart meters. 1. True, but one is unsure whether this includes the standing charge so one can correctly see the effect of adding load. e.g. boiling the kettle is 1-2p. It is disconcerting to find that close to ⅓ of the daily combined fuel total has been racked up while ‘everything' was ‘off' and you were asleep. That suggests that for us the major part of our consumption disappears in standing charge. This is not an incentive to behave differently, more one to try to go off grid entirely, or to look for very different ways to be charged for energy. I switched the in-house gadget to showing kWh consumption, which seems to give better info (no standing charge confusion). 2. This is an indirect effect. You are perhaps better informed by an awareness of which parts of the day or which behaviours affect the running total for the day. I question whether any of us are bothered about emissions at the domestic level. 3. If you are billed for exactly what you use, that has NOTHING to do with budgeting. Budgeting would be achieved by predicting your annual consumption and paying it in equal instalments across the year. What a smart meter offers is an awareness of the next coming bill. You could have (had) that by reading the old meter more often. 4. Case unproven and often refuted at the moment, judging by remarks found on the web. It is certainly worth looking at what you leave ‘on’ when not present and doing the associated sums. I will add an arithmetic exercise to Extension Work on this topic. Besides your computer, look at the tv, several devices in the kitchen, perhaps the heating system and discover/work out the cost of leaving things in standby mode. Source , the Energy Saving Trust, gives a load of information you may find useful. Within that I choose to pick on gas and electricity: Gas standing charge £87.23 /year 3.8p/kWh; Electricity £73.06 plus 14.37p/kWh. So electricity is around four times more expensive per unit and the standing charges are similar. If you use off-peak electricity you may be charged only 7.6p per unit. Do you care that the CO₂ rating for gas is 40% of the electricity figure? Should you? Conclusion: If you already have studied your consumption, a smart meter won’t make any difference. If you have no idea at all, this will inform you enough to cause you to think about changing behaviour and it might cause you to do enough to actually notice a change in your bills. Since you don’t pay for it and your bills already reflect the cost of installing these things everywhere, you might as well jump on board and have the benefit of the second or third-generation improved systems [the first generation meters were not so good]. Concerns about switching between suppliers are relevant, but in most cases you won’t notice any changes, as your in-home display will continue to work, and your billing, at the very worst, will revert to the previous system. The rules as published suggest that to a large extent, this is not your problem, but that of your supplier. It does suggest though, that if you’re thinking of switching suppliers, you make them aware of the smart meter supplier, so they have an opportunity to make you aware of consequences before you switch. I expect websites to detail any problems during 2018 at the level of, say, “<supplier1> has problems reading <supplier2> meters”. The role of smart meters in encouraging behavioural change – prospects for the UK (PDF Download Available). Available from: https://www.researchgate.net/publication/242540968_Title_The_role_of_smart_meters_in_encouraging_behavioural_change_-_prospects_for_the_UK [accessed Jan 18 2018]. There is some additional code to this site; each copied quote has an attached source tag, so the Title, author and publisher as here appeared afresh each time I copied a sliver. Clever. http://www.telegraph.co.uk/money/consumer-affairs/six-reasons-say-no-smart-meter/ I didn’t read it. 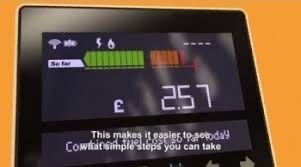 https://www.which.co.uk/reviews/smart-meters/article/smart-meters-explained/getting-a-smart-meter-installed Gives some supplier-specific detail. https://www.moneysavingexpert.com/news/energy/2018/01/switchable-smart-meters-delayed- refers to rules about smart meter second generation. https://www.baringa.com/our-thinking/baringa-blogs/november-2016/smart-transition-from-smets-1-to-smets-2/  http://forums.moneysavingexpert.com/showthread.php?t=5535955&page=2 discussion forum raises some good points for further thought. • How do you tell the difference between the first and second generation meters? The standard declared is SMETS (1 or 2). indicates that the change has been delayed, so I expect that no supplier will switch to Type 2 until forced to do so, for the simple reasons (they exist to be used) and (it will discourage people from switching suppliers). You would not expect the 1st gen boxes to be labeled with a ‘1’, but the 2nd gen may be. What I have read says that SOME of the SMETS1 meters will have a software upgrade only, some will need firmware or hardware (and a visit). See . You may find references to the DCC (database centre compliant? No, Data & Communications Co.), which is the set of standards that permit meters to switch suppliers. • Why do we have an IHD at all? Wouldn’t an app be altogether better? I resent the loss of yet another socket to a gadget I am expected to leave on all the time. • The expected battery life of the SMETS 1&2 is 15 years. [The bit that does the communicating to the hub] Does this mean we will all pay again for new meters then?. • Your SMETS meter sends info off every hour unless you gave permission for more often. You just might have managed to refuse such frequency. Image of hacker looking at your data to see when it indicates you have gone out…. • SMETS1 communicates using O2 in the south and long wave radio (400MHz) in the north. Go figure. From the wide area hub, data goes to the supplier via internet. • Who pays for the meters? We do; it is buried in the collective bills. Evidence: Sci&Tech Select Committee  14.The Government’s Smart Metering Implementation Programme requires energy suppliers to offer 53 million meters to homes and small businesses in Great Britain by 2020. The costs of providing smart meters, some £10.9 billion, is being borne by consumers through their energy bills (an average of £215 per home, including installation costs). • Govt response to , namely  includes, at para 30: Eight in ten people with smart meters would recommend one and the same proportion say they have taken steps to save energy, such as turning o their lights, turning the heating down or changing the way household appliances are used. I am in the other 20%, then, seeing no change in our behaviour, but not for want of trying to find some to change. A similar 79% in  would apparently recommend having a smart meter. I’m on the edge, here; it is your choice, but it might be smartest to wait until the SMETS2 are rolled out. Before a smart meter is installed, the installing supplier must inform the customer that they may not be able to retain their smart services if they subsequently chose to switch supplier. FAIL, say I. Before any switch is concluded, the gaining supplier must determine if the meter to be inherited is smart and what functionality it includes. the gaining supplier must inform the customer before they switch about any services that they may lose on switching. • Your behaviour will change if you are aware of any time-of-use tariffs for energy. Find out. Having written essay 269 about telecom generations, I see that smart meters are 2G technology. Smart meters alone are likely to mean that 3G disappears (is switched off and the spectrum reassigned) before 2G. Of course, it might be entirely side-stepped by 5G in the IoT sense. Mind we don't yet know how IoT is going to be paid for and that in turn might only slow things down, but it might also be an obstacle. Electricity is charged at 18.20p per kWh, according to my smart meter. Boiling the kettle for my tea mug uses 2500W for about 70 secs, which I think is just under 50Wh, or about a penny. Reversing that, a penny buys 55Wh, which is 2500w for 79 secs or 3000W for 66 secs. Inspecting the kettle shows it is rated at 2500-3000watts; I call this checking and I learn that boiling the kettle costs about a penny. Looking up the running charge for electricity, I see 12.8-13.3 is a ‘good’ price, suggesting that the standing charge element is 4.9 to 5.4p (per hour). So the six hours from midnight to my first reading the new meter gadget might be expected to say we have consumed 30-32p of electricity, which it does, with a similar charge on the gas too. So when looking at ‘Costs charged so far today’ I need to allow for something around 12p per hour for the privilege of being connected. Checking the implications, I look now, 14:00, to discover that we’re spending 10p per hour on combined fuel. At 06:30 we had apparently spent 60p, which suggests virtually no difference in heating up the house through the breakfast period. Or the gadget is misreporting the situation. ¹ That 13.8ºC in 1970 applies to out house. By your standards our house is bloody cold. Get used to it. Conversely, it is often pleasantly cool in the summer.